This is a striking looking quilt, featuring a classic style with a modern feel. 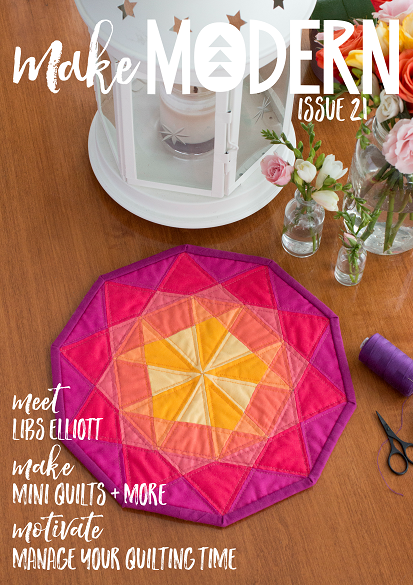 Create your own quilt in your choice of colours and fabrics, or follow the pictured pretty example using "Hello Darling" by Bonnie and Camille for a sweet quilt. The finished quilt is a Queen size at 72" square, but can be easily adapted to a larger or smaller quilt, depending on your preference. The quilt is made from 9 large blocks, finishing at 24" square each. The quilt can be made from Fat Quarters or Yardage. Extra fabric is required for the background, binding and backing etc. A PDF file for this pattern is available upon completion of checkout. This download is only available for a 24 hour period, so I recommend downloading and saving it straight away. If you've purchased the item, and forgotten to download in this time period, please contact us via email for the pattern directly.